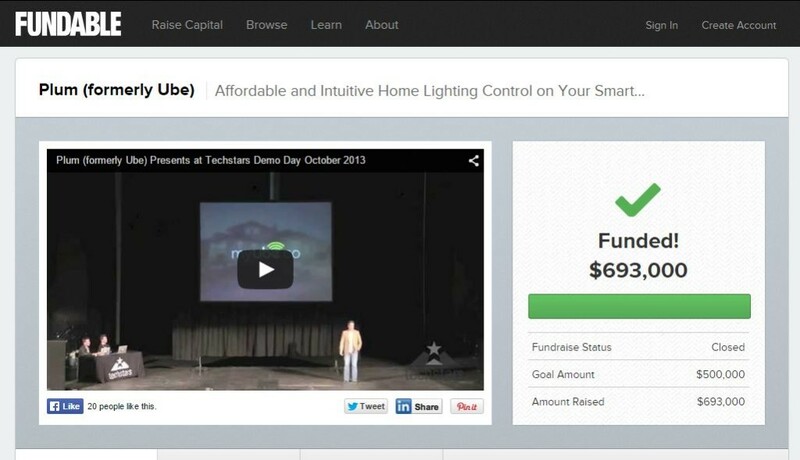 Home / How Plum $693k raised on Fundable for their smart lighting app. How Plum $693k raised on Fundable for their smart lighting app. As a successful crowdfunder, Utz Baldwin receives a lot of information requests from entrepreneurs. Managing the investor pipeline by using spreadsheets and entering people into a CRM program. “Remember to record your last conversation and track everything,” he says. Interacting with the platform. “If you just build a blind platform the chances of success are lower,” he says. Be clear on your campaign and the law. Baldwin “strongly suggests” understanding the laws around crowd funding and speaking to an attorney who understands corporate law. Plum was founded to develop disruptive technology in the home connected industry. Baldwin has 25 years of industry experience and was the former Chairman and CEO of CEDIA, an industry global trade organization. The company developed the Plum LightPad: a reimagined the light dimmer connecting to home Wi-Fi networks. 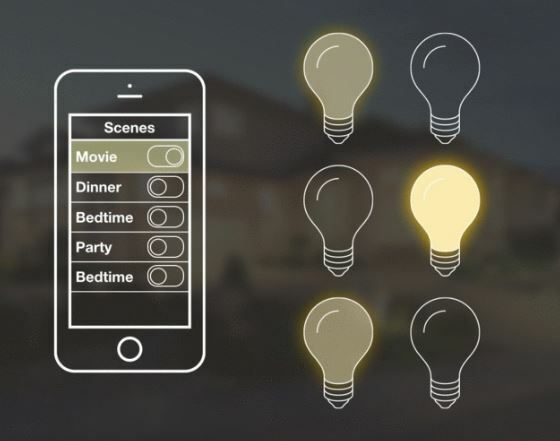 The lightpad allows people to control home lighting from a smartphone, from anywhere in the world. To accelerate Plum’s growth, Baldwin required access to a wide pool of interested investors from around the country. As Baldwin was researching crowd funding options, he came across an article on Fundable. He found Funable’s website highly intuitive with profile companies that “had a good mix of consumer offerings.” After Baldwin began setting up a profile, Fundable staff reached out. “One of the best things about Fundable is the engagement of that team is second to none,” Baldwin says. The staff commitment convinced Baldwin he’d found Plum’s crowd funding platform. Baldwin accessed Fundable’s resources and worked with a platform funding adviser. “They walk you through business models and what your raise looks like, articulate the size of funds and offer advice on what a minimum investment should be,” Baldwin says. The most valuable resources Fundable had to offer for Baldwin was inclusion in the platform’s newsletter. “It goes out to 40,000 investors and immediately primed us,” he says. Before the Plum campaign launched, Baldwin and his team prepared what they needed to know about their business plan. The preparation required team members to understand a process for handling investor relations. Staff members learned that once interested investors like a public profile, they can request access to more detailed information. The crowd funding campaign manager is then notified and must conduct due diligence on the investor. Next, the campaign manager clicks a button, granting investor access to the view offering, financial data and more confidential company information. Once the team was prepared, “we spent about a week to 10 days getting everything ready. Within two weeks, we launched our campaign,” Baldwin says. As soon as Plum’s campaign launched, interested investors clicked on Plum’s public facing profile. “On a normal day we would receive 50 to 100 views,” Baldwin says. While Baldwin had sought American investors, and secured investments from working and retired executives in Silicon Valley, he also landed a Mexican national race car owner and the owner of a string of bakeries in the United Arab Emirates (UAE). “We were very pleased with investor numbers and quality,” Baldwin says. Amy Dunn Moscoso is a B2B writer who loves to write success stories of CEOs, entrepreneurs and of course, crowd funders.